I recently found a Facebook Group about remembering Pizza Haven, an old restaurant chain that used to have around 30 locations in the state of Washington. My job was custodian at the downtown Bellingham location. 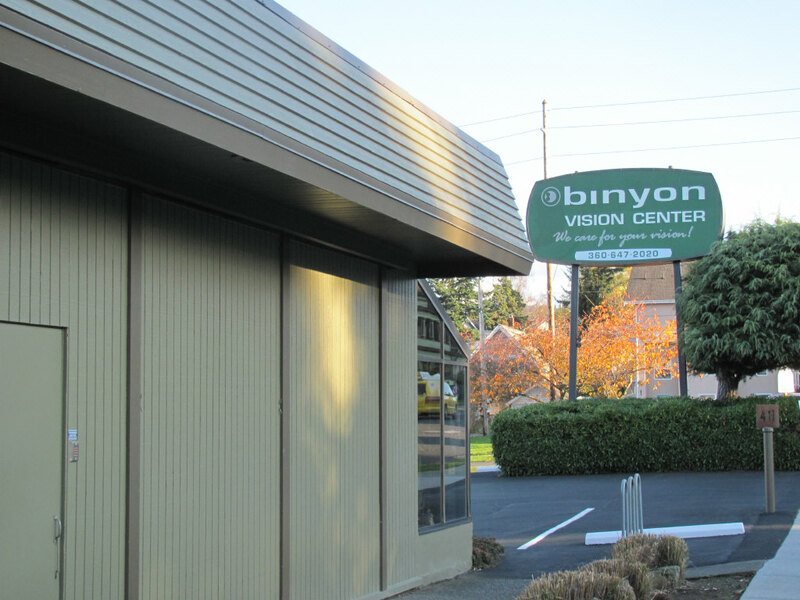 That place is now Binyon optometrist. Good memories working part time with lots of free time for bicycling and thinking. I've always opted for low pressure careers. The Facebook Group brings back memories of some Pizza Haven culture. Now I'm on custodial crew of downtown YMCA. Below is ghostly image of lobby reflected in the door glass to a conference room. 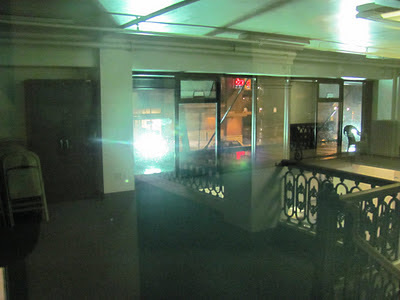 Outside window, one sees glare of mercury vapor lights that illuminate front facade of building. Just below is a glass owning over sidewalk. Across the street is the red signs of Key Bank. Glad my living expenses remain low. The economy has worked for my modest needs so far, but I realize things aren't working that well for more and more people. In some cases, expectations are too high. In other cases, people are given a raw deal. Voluntary simplicity is one strategy, in an economy where growth is difficult. A strategy to deal with lowering the carbon footprint. Changing technology is also a way to deal with these things. Ipods most likely have a lower footprint on the environment than wood stoves. We are living in a changing world and to some extent, upper income people are still living in a fantasy world. The world has big problems when CEOs of corporations and presidents of colleges still expect huge salaries while their businesses loose money and state supported institutions face large cuts. Tuition at colleges is shooting way up. I'm glad my college days were cheap and I didn't have to deal with student loans. Money is only one aspect of a job. Peace of mind is another.